The suspect in six recent Scottsdale, Phoenix and Fountain Hills killings was found dead after an apparent suicide Monday morning. 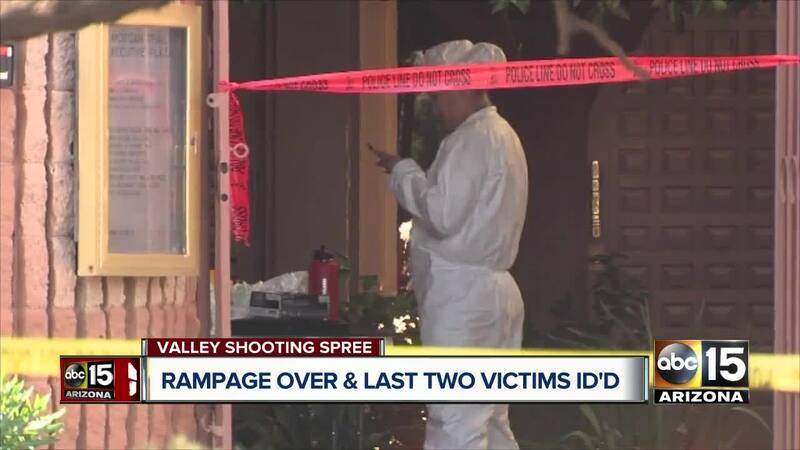 Officials have confirmed the suspected shooter, Dwight Lamon Jones, killed himself Monday morning at a Scottsdale hotel as police tried to make contact with him. He had reportedly been staying at the hotel for some time, sources say. Police say the deaths of prominent forensic psychiatrist Steven Pitt at his Phoenix office on Thursday and two paralegals at an Old Town Scottsdale law office on Friday are related. A fourth death that occurred on Saturday morning has also been connected to the suspect. 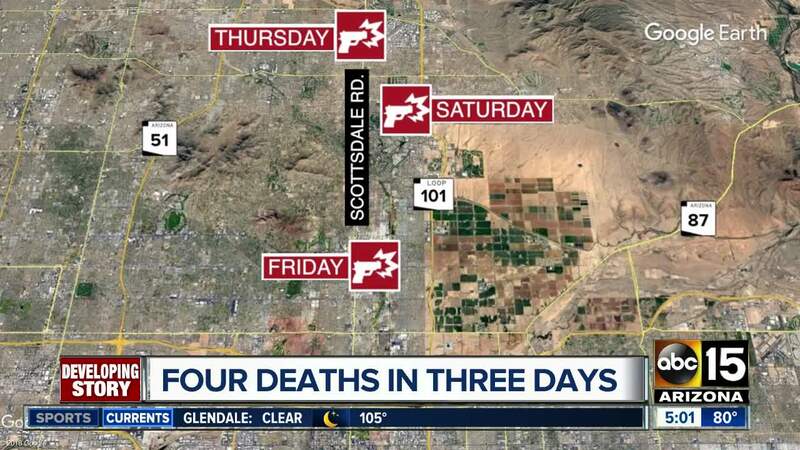 Jones is believed to be connected to two other deaths that police discovered in Fountain Hills , bringing the total to six connected deaths. Click on each point in the map below for more detailed information about each homicide, as well as the apparent suicide location of the suspect.